A geometric perforated front panel and back tassel ties add interest to this tall boot. Get into it with ease via an interior side zipper. 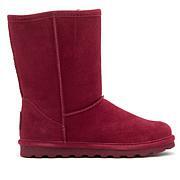 I purchased this boot in black for my daughter as a Christmas gift. They are absolutely adorable and she loved them. They look perfect on her and are so comfortable. 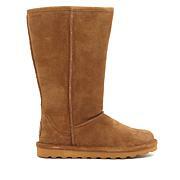 I wish I wouold have bought myself a pair too. 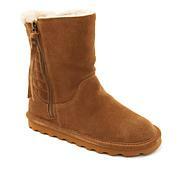 I just received my boots and I love these boots their warm and stylish and comfortable. Wore them as soon as I received them did not wait to wear them I took off the boots I had on and put them on.